Witnessing the birth of my only daughter was, as you can imagine, a very moving experience. My daughter shot out of her mother like a rocket, so fast that the obstetrician had to catch her like a football. I was so pleased, proud, excited and thankful to be the father of a healthy baby girl. In anticipation of the big day, I had bought a very nice digital camera: The Fuji FinePix S602Z. I've been very happy with it since day one. Imagine my disappointment when it stopped working a few months ago. 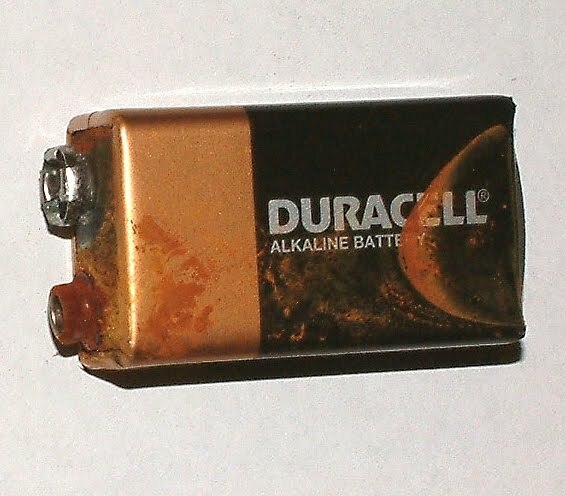 I assumed it stopped working because I had left some batteries in it for too long, and the corrosive ooze that leaks from the decaying cells ruined some critical components. I cleaned the camera up as best I could, using cotton swabs and cleaning solutions that wouldn't hurt the camera. Despite my efforts, I failed to bring the camera back to life. I gave up on it for a couple of weeks, and made plans to send the camera back to Fuji along with a letter expressing my dissatisfaction with the reliability of the camera. Before doing so, I decided to try a cleaning one more time. This time I used a tiny screwdriver to scrape off any hardened material that might be causing problems inside the battery compartment. Bingo! The camera was back! Sooooo happy. I disposed off the old batteries and went to my freezer to get new ones. Seems that in trying to preserve my batteries, I ended up destroying them, and wasting money! And to make matters worse, I almost ruined an expensive digital camera. The theory of placing batteries in cold storage was sound, in my opinion, but in practice, I guess the cold has a deleterious effect on power cells. As the picture taker in the family, I've been told by many people to not leave batteries in the camera if you are not going to use it for awhile. What did they tell me? Of course, take them out and put them in the refrigerator. I now have a pretty good idea why the "cold" batteries did not work when I put them back in the camera. Now my flashlights will probably work too! Thanks for the tip! Yeah, freezing batteries is not really the best idea in the world because they do not work until they warm up and could damage your equipment. They don't really last any longer either than not putting them in the cold. This is the same reason that batteries in cars don't work when the temperature gets too cold. Yes, leaving them in the camera is not a good idea either. I just take them out and store them normally. While there may be some leakage over time, they are usually pretty good and start right up. Best thing to do is get rechargables for cameras, like the 15 minute and you are pretty much set. I used to do rechargeables all the time, but found that they were too weak for power-hungry gadgets, like modern digital cameras. Now, of course, it really doesn't matter, since the best cameras now come with powerful, rechargeable lithium batteries.